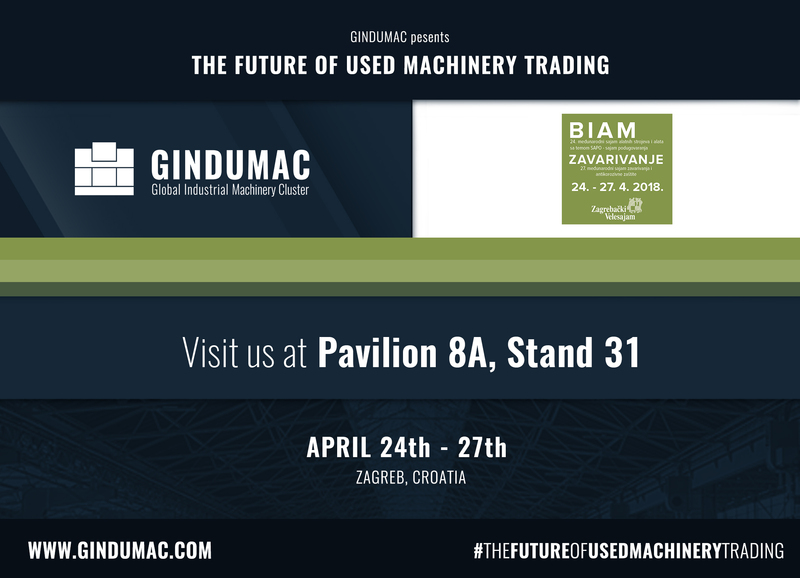 At BIAM 2018 in Zagreb, Croatia, from 24 – to 27 April GINDUMAC will be showing the future of used machinery trading. In Pavilion 8A, Stand 31 visitors will be able to discover how fair, transparent and economical it can be to sell and buy used sheet metal machines or machine tools. The technology- and data-driven company follows a new model in the traditional used machinery trading market. 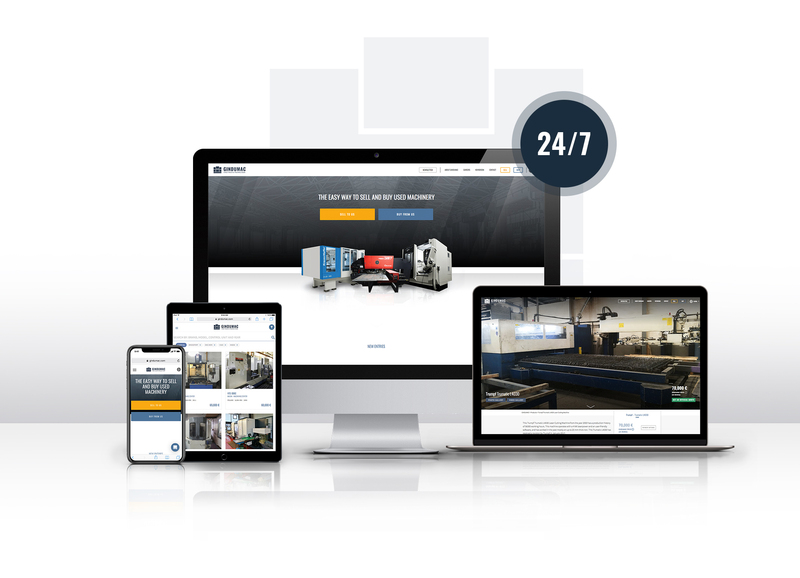 Metalworking manufacturers can offer their used sheet metal machines or used machine tools to GINDUMAC with just a few clicks on www.gindumac.com . Afterwards, every used machine will be visited and documented on-site by one of GINDUMAC’s Area Managers. 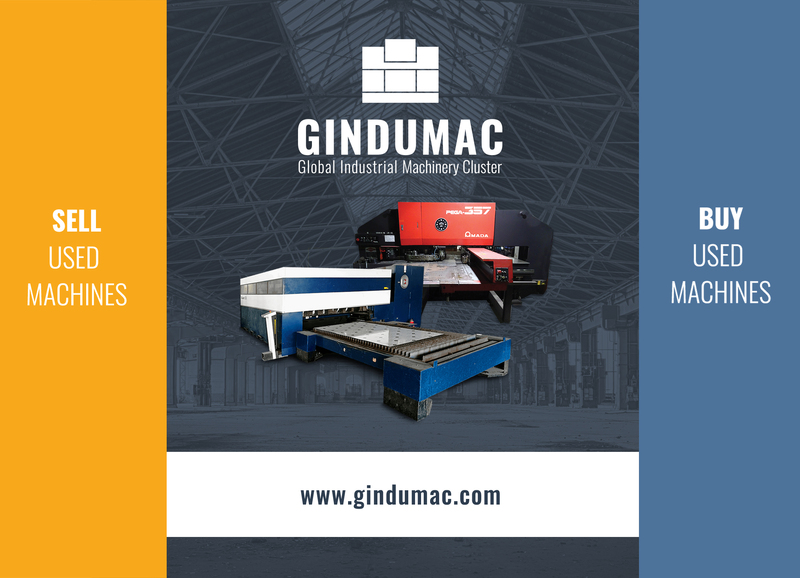 By this means, GINDUMAC shows every machine in its real production environment. “Our mission is to make used machinery trading a fair, transparent and economical experience by using state-of-the-art technology and intelligent data solutions. The GINDUMAC online platform is one core tool of our operations leading to a maximum simplification of processes. In combination with smart data solutions like our powerful market price intelligence system we generate best possible transaction values for all market players. For us the future of used machinery trading is clearly technology- and data-driven. We are very looking forward to presenting at BIAM 2018 how we make this happen”, emphasizes Benedikt Ruf, Co-Founder & Managing Director of GINDUMAC. Also, for buyers of used machinery GINDUMAC sets new service standards specially developed for the international used machinery market. Next to financing models like 120-days payment or 12-month financing GINDUMAC offers full-service logistics including dismantling, loading, transport and installation of used machines using a global partner network of hundreds of logistics companies. „The way we operate sets new standards for used machinery trading in the metalworking industry. Our extended international business network of manufacturers and our fair market-driven price evaluation makes us find the highest value transaction opportunity for each machine. Thus, we can offer best possible market prices – both for sellers and buyers. Our goal is to fully drive each transaction to the highest convenience for all market players. That is why we also offer attractive financing and global logistics services. Croatia is a very interesting market, we have already established very good business relationships with Croatian manufacturers. Our goal for 2018 is to extend our activities and create new business opportunities. Therefore, exhibiting at BIAM 2018 will be the perfect opportunity for us to personally present GINDUMAC to the Croatian metalworking industry”, comments Janek Andre, Co-Founder & CEO of GINDUMAC. As first mover in the used machinery trading GINDUMAC reveals the first Industrial Internet of Things (IIoT) solution for the performance monitoring of pre-owned machines called “MACHINE SPECTOR”. MACHINE SPECTOR adds new digital abilities to used machines and connects them with the new requirements of Industry 4.0. The current demo version of MACHINE SPECTOR can be requested on www.machinespector.com . “MACHINE SPECTOR is connecting used machines to a new digital ecosystem of real-time performance monitoring independent from year or control type. Our online application gives the operator a direct access to a powerful data dashboard with all relevant performance data needed to fully control the production efficiency. At BIAM 2018 we will show new dashboard features and notification services.”, announces Daniel Sapundziev, Unit Director of MACHINE SPECTOR. GINDUMAC presents the future of used metalworking machinery trading at BIAM 2018 in Zagreb at Pavilion 8A, Stand 31. The GINDUMAC GmbH from Kaiserslautern, Germany buys and sells used machinery by using an online platform on www.gindumac.com.